From http://nakedwiki.org/index.php?title=Newcastle#The_Otesha_Bike_Parade_and_Party The Otesha Project (Australia): Cycling for SustainabilityThe objectives of The Otesha Project (Australia) are to increase awareness about the impacts of the products and resources we consume, increase the number of responsible consumer choices made by young Australians, and increase the number of young role models and sustainability advocates. The Otesha NSW Regional Cycling Tour17 tour members will embark on a bicycle tour from Brisbane to Newcastle (over 1000 KM's), explore the eastern coastline, engage youth about sustainable consumption, and live collectively in a bicycle crew. The Otesha Cyclists will stay in Nelson Bay on the night of the 18 December and then cycle into Newcastle on Friday 19 December. The riders will be in Newcastle for 3 nights (Fri, Sat, Sun). The tour will officially end on Monday 22 December 2008.During their stay in Newcastle they will be visiting schools and community groups in the area to present their theatre performance and workshops. The Bike Parade preceeds the Party. Both legs of the event will be all ages. Time: Decorate or fix your bike some time between 9am and 5pm. The Bike Parade begins at 5pm. 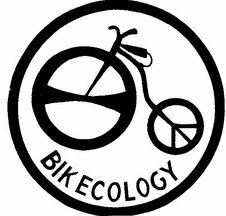 Come to the Newcastle Bike Ecology Centre anytime between 9am and 5pm. If you get there early you can fix your bike or find a pre-loved bike to ride. The Otesha Crew will be hanging out at the NBEC to help decorate yourself and your bike for the parade. They'll have some recycled material for you to use. Or bring your own recycled fabrics, cardboard, paints, colourful and funky stuff. The parade seeks to spread the positive message of empowerment and sustainability in a loud, colourful and fun way that engages the public. The Otesha Bike Parade takes us to the Otesha Party. Venue: The Royal Exchange Hybrid Performing Arts Gallery, 32-34 Bolton Street Newcastle. Price: a $5 door charge applies for bike riders arriving with the parade. More door charge applies for others - so go in the Parade! The evening will feature fun theatrical presentations by the Otesha riders, music, a photo show of the NSW Otesha regional tour, food and refreshment. Musical entertainment may be provided by Tim Crossey. The exact details of the programme are yet to be determined although it will be a fun get together of cycling activists, environmentalists, social justice and human rights advocates, community volunteers, pacifists, climate defenders, and assorted happy hippies and groovy artists.